New Hampshire...Love it or Leaf it: Grafton Pond is Awesome! I am definitely putting that on my list. I like that there is no road traffic. I often find that a lot of the ponds are right near the road. I'm interested to hear about your visit to the historical landmark too ... I've never been. Good to hear from you! Grafton Pond may be replacing Gilmore Pond as our new favorite. I don't think anyone could possibly be disappointed with a paddle on Grafton, unless the wind proves to be too much. It's quiet, has tons of wildlife and so many coves, inlets and islands to explore.Well worth the trip! In the short 4 months that I have lived in NH so far, I have paddled Grafton Pond countless times. It is far and away my very favorite place to paddle, even though Eastman Lake in a stones throw from my house! I think the pond supported 2 families of loons this year. About a month ago, I took my dad out for a paddle there. We got so ridiculously close to the loons. They would dive for fish and surface next to our kayaks. One of the chicks nearly ran head-on into the bow of my kayak! We've encountered some "friendly" loons this season, too; most notably at Gilmore Pond. They seemed unperturbed that we were sharing their space. Maybe it's because the chicks have grown up and the adults are less protective? I don't know. Thanks for writing! Thanks for your post about Grafton Pond. My family will be going on Saturday and you've helped us to prepare for what should be a fantastic trip. Thanks for your post on Grafton Pond. My family will be heading there on Saturday and you've helped us prepare. 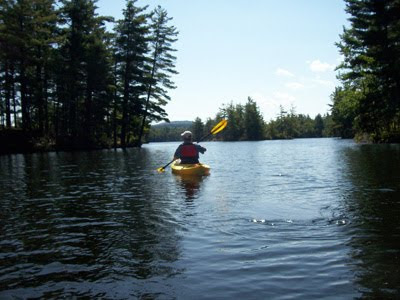 Grafton Pond is an awesome paddle destination. It has a really cool history. To really enjoy it, you MUST respect the Loons. Keep clear of nesting places. If you do not recognize these places. Ask others, the locals know what to look for. I feel so privileged to live so close to this beautiful natural area. My son and I went for a paddle a little over a week ago and saw two chicks and two adults together. We kept our distance and were still able to take many photos. I saw one chick waddle up the parent's back...a real treasure. Was at Squam Lake when in Center Harbor; we put in at a quiet public boating area. It was so hard to see the motor boats just zooming around and seeing the loons out there. It seems so perilous for them. If you had any respect for this place you wouldn't be advertising it as you are. I live less than a mile down the road and have lived in Grafton my whole life. It is absurd how overrun this place has become, and acting as you do about it does not help the situation. People seem to take a perverse pride in sharing "secrets" like this and guess what, they aren't secrets any more. It's a wonderful place- please appreciate it and go home without getting on a soapbox about it. If you call some place paradise you can kiss it goodbye. Also, Grafton is a town, not just a pond. You speak of it as though the town doesn't exist. Most Graftonites can't even be bothered to go to the pond named after their town any more because of the outrageous influx of tourists from out of the area. Please be respectful of this. Thanks. I view Grafton Pond as a beautiful resource that belongs to everyone in the state of New Hampshire and those who visit, too. 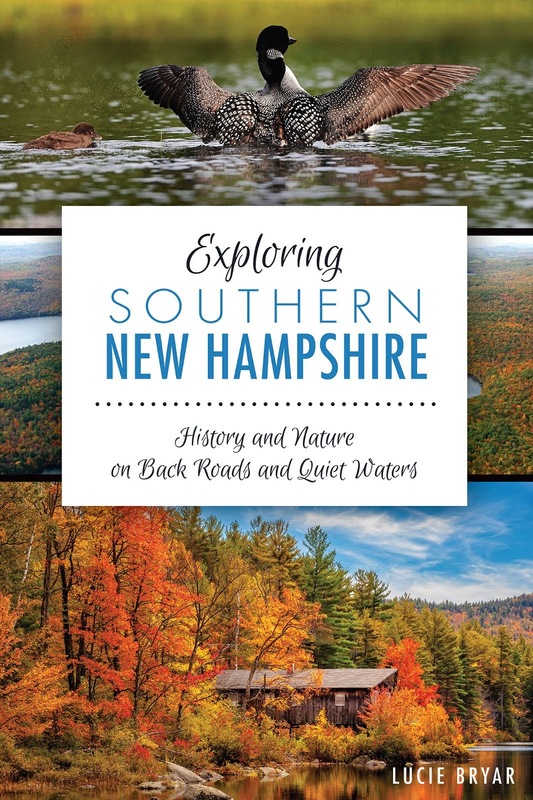 It's hardly a secret since it appears on all the state atlases, maps and guidebooks, including one published by the Appalachian Mountain Club. Sorry that you feel it's been overrun by tourists and that my blog has contributed to that. Honestly, I think it's only a short matter of time before any beautiful spot is "discovered," and word gets out. My guess is this probably happened with Grafton Pond years ago. I encourage all visitors to treat any natural area and wildlife with respect. Thanks for writing.